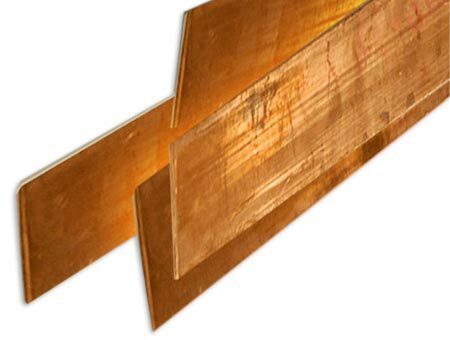 Our Copper Flat Bars are highly appreciated for high conductivity and durability. Tellurium Copper Flat Bars offered by us are specially engineered to offer excellent performance for longer life. Our Copper Flat Bus Bars are crack resistant and can bend freely. Special features like eliminating wiring errors and improving thermal characteristics of our copper flat bars make us one of the renowned Suppliers of Copper Flat Bars. Copper busbars are being produced from pure copper cathode after a long production processes with metalurgical analysis, test and quality controls that are used in modern industry at transformers, electric panels and many other usage areas.